Joel Gilbert was born in Chicago, Illinois where he lived and practiced law and accounting until he moved to Las Vegas, Nevada in the summer of 2006. Mr. Gilbert attended Southern Illinois University, in Carbondale Illinois, and was both a President Scholar and an active member of Beta Alpha Psi, Honors Accounting Fraternity. 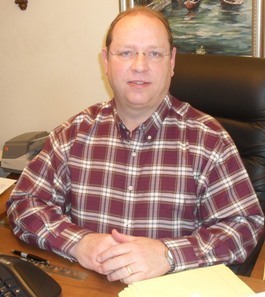 After graduating in 1979, with honors, he began working first in the public sector as an accountant and tax specialist, and later in the private sector as a both a Corporate Controller and the corporate tax specialist. Mr. Gilbert passed the C.P.A. exam in November of 1982. and then went on to attend the John Marshal Law School in Chicago Illinois, receiving his Juris Doctorate from John Marshall Law School and passing the Illinois Bar in June of 1986, In July of 1988, Mr. Gilbert started a dual accounting and legal practice, specializing in business and tax law. To this day, the Offices of Gilbert, J S & Associates, Ltd., through Mr. Gilbert, continues to provide legal and tax services to both the Chicago and Las Vegas Areas, as well as many other areas of the country. The firm specializes in providing clients everything from basic bookkeeping, tax return preparation, IRS representation, all the way to representation before the U.S. Tax Court.